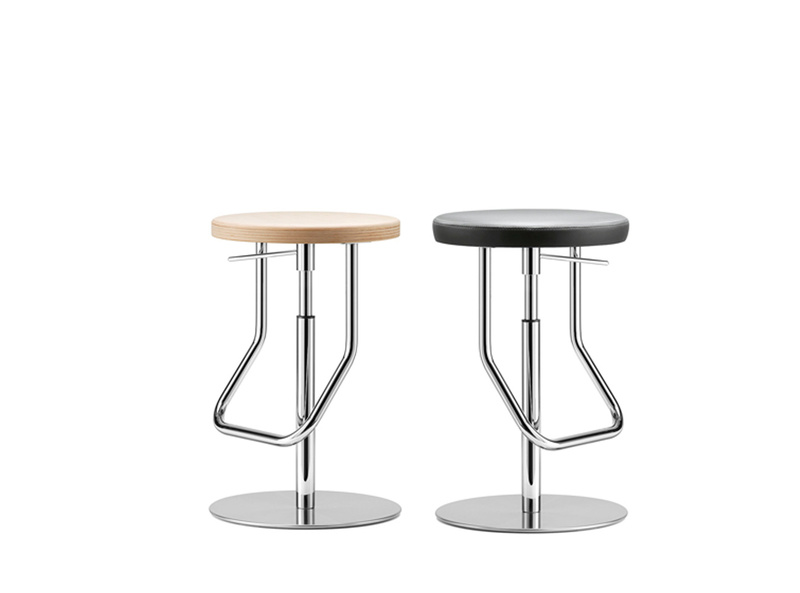 An elegant, practical all-rounder; the design sensitively combines the tradition of Thonet with contemporary sensibilities. In this case, metal is the dominant material. The elegantly curved bent tubular steel loop beneath the seat serves as a foot support. The seats are round or oval. The frame rests on a round base plate. The sitting height can be steplessly adjusted with the aid of a gas pressure spring, and the foot support is adjusted to the ideal distance for the user at the same time. All of these considerations form the basis for a multi-functional product suitable for contract and private environments.